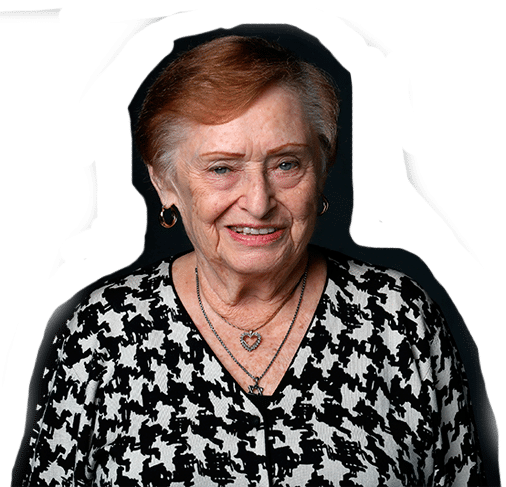 The Holocaust Documentation & Education Center (HDEC) has been devoted to documenting the memory of the Holocaust and educating today’s generation about the dangers of bigotry, hatred, and intolerance for the past 38 years. 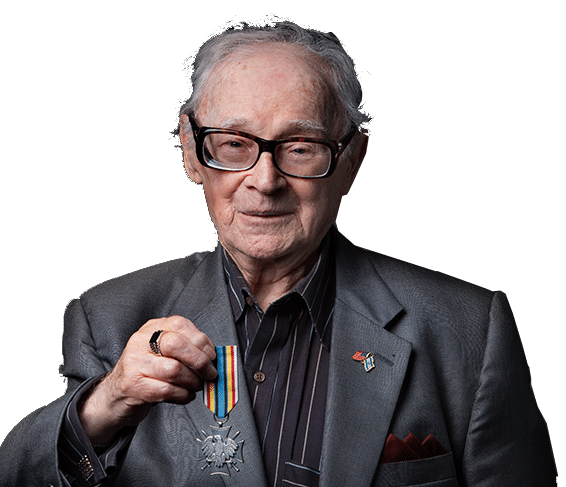 The museum has been central in collecting over 2,500 oral histories of Survivors, Liberators, and Rescuers as well as artifacts, photographs, and documents that provide invaluable eyewitness accounts to the story of the Holocaust. 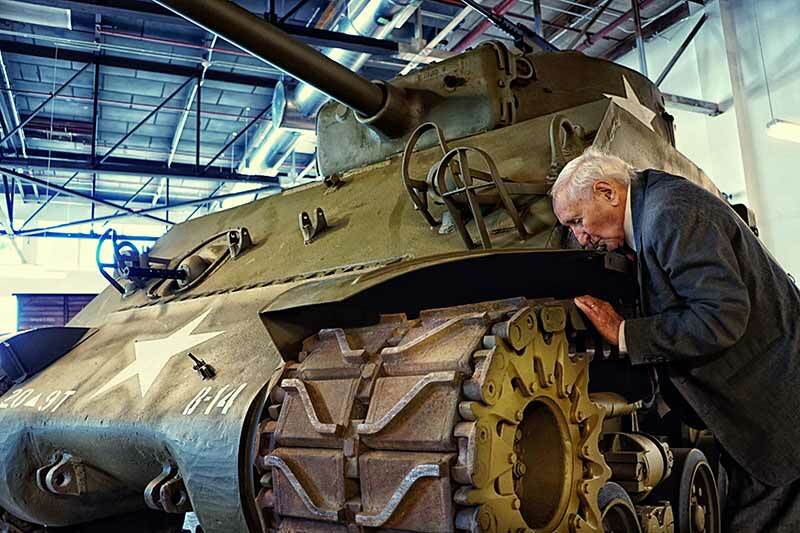 The museum also features a unique combination of two iconic artifacts – a Railcar and an American Sherman Tank – of the type that liberated Dachau – that provide impactful moments of reflection for visitors. 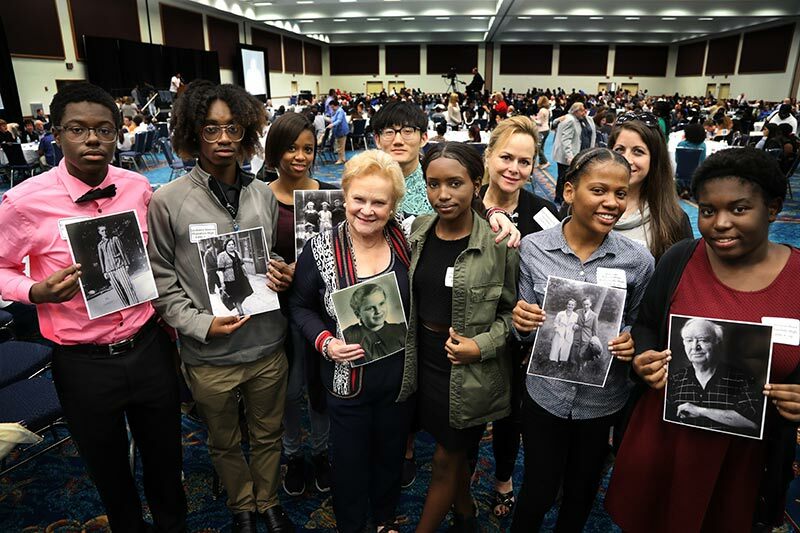 As a leader of Florida’s Holocaust education statute, the HDEC hosts Student Awareness Days and programs that educate younger generations about the continued issues of hatred, bigotry and bullying. 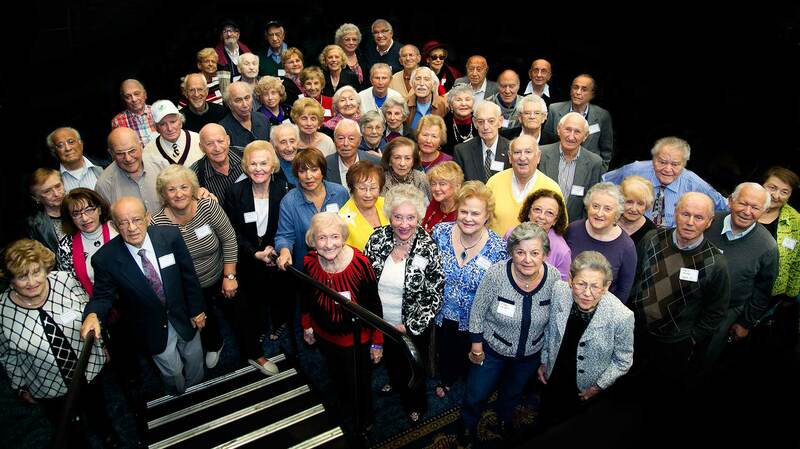 Students participate in writing contests as well as interact with the Survivor community in South Florida. *Exhibition extended by popular demand! Discover the secret history. The Nazi responsible for transporting millions of innocent people to death camps mysteriously disappeared after World War II. 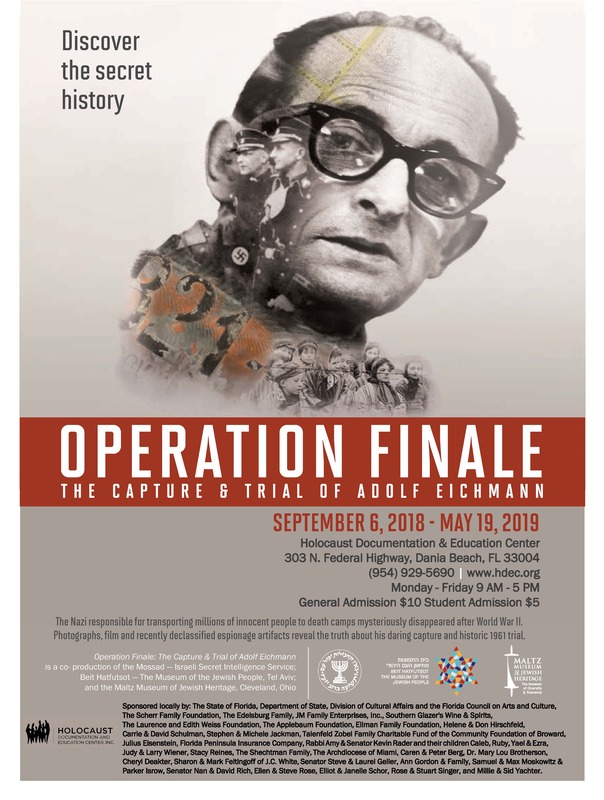 Photographs, film and recently declassified espionage artifacts reveal the truth about his daring capture and historic 1961 trial.